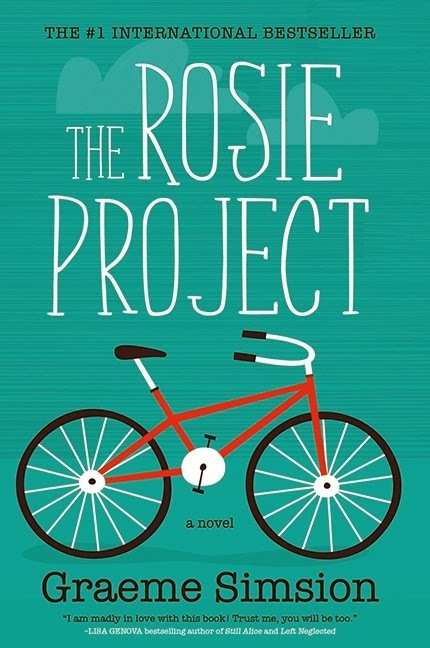 I got The Rosie Project for Christmas this year and read it in three days. Three days! As Don himself would say: Incredible! I think it was a combination of having time off and being starved for an actually fun book. I loved it all the way through. I'm probably the only person on the planet who hasn't read The Rosie Project yet, but I say meh. I read a book when I'm good and ready for it. I'm never going to be one of those cutting-edge people who stays ahead of the book curve. I read what I like, when I like, at my own sweet slow pace. Having said that, this book was a breeze. It's about a genetics professor, Don Tillman, who is extremely rigid and organized and guided by logic and science. He has difficulty making connections with others, but nevertheless feels that he would like to have a wife. So he develops The Wife Project, a detailed questionnaire to help him find the perfect mate. Naturally, the woman that he does end up falling for, Rosie, fails the questionnaire and is all "wrong" for him. 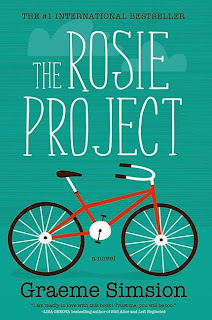 The Rosie Project reminded me of The Curious Incident of the Dog in the Night-Time by Mark Haddon, with the story told from the perspective of a somewhat autistic hero. But where I wanted to strangle the brat from The Curious Incident, I really liked Don. For one thing, he does have emotions, albeit ones he's not particularly in touch with. One of Don's few friends, an elderly woman in his apartment complex, has lost her husband to Alzheimer's and misses getting flowers from him on her birthday. Don is perceptive enough to bring joy to her life by buying them for her himself. In contrast is Don's other friend, fellow professor Gene. Gene is a complete sleazeball who regularly cheats on his wife and is Don's foil is every way. Gene is ruled by emotions and instincts alone, with disastrous consequences for everyone around him. It's no coincidence that I hated Gene as much as I did, as it helped me sympathize with Don more. Naturally this book has a lot of humour as Don uses logic to try to figure out illogical human emotions. I wouldn't classify this book as a romance per se, rather a romantic comedy. (If it had been written by and about a woman, it would have been classified as chick lit, a term I abhor). It's really all about Don and I never really got a feel for Rosie as a character, other than that she's supposed to be a free spirit. But this is really about Don and his discovery of himself and his capacity to love. It sounds serious, but it only feels like fun.